The sciatic nerve comes from nerves called the sacral plexus. These nerves travel to the sacrum and lumbar regions of the body. The sciatic nerve is actually a bundle of two nerves, the tibial and common peroneal nerves. Since the sciatic nerve is the largest and thickest nerve of the human body, it’s no wonder that this structure could be easily impinged. A bigger wire, so to speak, is easier to get stepped on, than a smaller one. But, in your body, your nerves don’t get stepped on, they get caught in between things. These things in your body, come in the form of muscle, adipose or fat tissue. Other structures may impede but muscle and adipose are the most common. A very common cause of sciatica is a bulging disc. A bulging disc will cause pressure and then pain on your sciatic nerve. This pain radiates down your lower back even to your leg? Have you ever experienced this kind of pain? Do pain killers solve the problem or do they only give temporary relief, or none at all? The sciatic nerve travels down the buttocks and the back of the thigh. This makes the area for the sciatic nerve a prime location for entrapment. Here’s a question? Do you ever feel pain, tingling or numbness after you’ve been sitting or even exercising? What causes this pain? A possible cause is from the piriformis muscle. When this muscle is compressed piriformis syndrome may be cascaded. The piriformis muscle appears as a flat, muscle, band-like in shape. It’s located near the top of the hip joint. What does this muscle do? It is crucial in lower body movement since it’s responsible for stabilizing the hip joint. In short, when you walk, just about every motion of the hips and legs uses the piriformis muscle. When you lift your leg and rotate it out, as in exercise or stretching, you’re using the piriformis muscle. It’s no surprise that this muscle may be a culprit in sciatica. Even when the piriformis muscle isn’t involved in the direct compression, your lower extremities get a workout, even if you’re just sitting. All day long, as most of us do, we sit. Take your weight and imagine a structure like your sciatic nerve being compressed during the day, every day! The great realization-solution is that the human body is designed to heal itself, with just a little help. 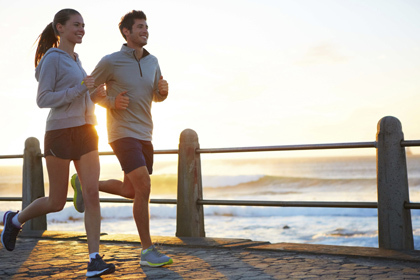 Even if you’re not a triathlete your body still needs a regular tune-up, just like your car. When we get a chiropractic check-up, it’s letting the natural intelligence; in the form of natural nerve energy do its job. It’s healthy and cost effective. The sciatic nerve can be compressed from any of these activities mentioned. 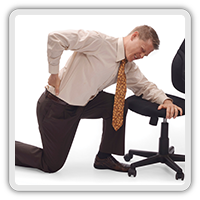 Have you experienced pain after sitting for a while or after exercise? The pain can be a slight tingling at first that grows into pain and numbness. Any of these symptoms may seem benign but just think that when you feel pain, in any form, it’s a sign that something is wrong! Your body is giving you a message. Are you listening? Fortunately for many chiropractic patients the solution is finding where the source of sciatic pain originates and using skilled adjustments to restore relaxation. Your body knows how to heal, when it’s aligned. Chiropractors deal successfully with bulging discs by aligning the spine. This alignment is experienced as relief, your relief. Life keeps moving at a fast pace. When you feel pain, see a chiropractor, so you can keep doing what you need and want to do! Chiropractors have been helping people for over a hundred years! Feel the results yourself. Chiropractic aligns you, in some of the best ways possible-naturally and non-surgically. Relief from sciatica exists. Chiropractic has & is helping thousands of people! See how quickly relief moves into your body, so you can live pain-free from sciatica!